The “Christian” Left doesn’t agree with the beginning of the Gospels. Or the end. Or the middle. The “Christian” Left doesn’t agree with the beginning of the Gospels (virgin birth, claims of divinity (John 1)). Or the end (physical resurrection). Run, don’t walk, from the “Christian” Left. The “Christian” Leftists mock the Bible (and real science) when trusting in Darwinian evolution for the creation of humans. But when they want to promote abortion, all of a sudden they become literalists in insisting that since God breathed life into Adam, that mothers can have their children killed for any reason until they take their first breath. It is as inconsistent as it is ghoulish. Putting an adjective in front of “Gospel” is a really bad idea. Galatians 1:8–10 But even if we or an angel from heaven should preach to you a gospel contrary to the one we preached to you, let him be accursed. As we have said before, so now I say again: If anyone is preaching to you a gospel contrary to the one you received, let him be accursed. For am I now seeking the approval of man, or of God? Or am I trying to please man? If I were still trying to please man, I would not be a servant of Christ. Yes, I’m referring to “social gospel” people like the “Christian” Left and Jim “the Gospel is all about wealth redistribution” Wallis. They deny and even mock the real Gospel so they can sell their worldly version. How do they get away with it? Don’t worry, it will all work out. 2 Corinthians 11:13–15 For such men are false apostles, deceitful workmen, disguising themselves as apostles of Christ. And no wonder, for even Satan disguises himself as an angel of light. So it is no surprise if his servants, also, disguise themselves as servants of righteousness. Their end will correspond to their deeds. Yes, they really did post this. Remember that these ghouls aren’t just “pro-choice,” they are pro-abortion extremists. They insist that you can kill the child for any reason until she takes her first breath outside the womb. And they want to make you pay for it via taxpayer-funding! But wait, there’s more! The next meme they pretended to care for “human rights” — as if the right not to be chopped up because you are unwanted isn’t the most basic human right. 3 . . . 2 . . . 1 . . . yep, right on schedule. False teacher Chuck “Jesus is not the only way but He sure is a bigot” Currie of the UCC (Unitarians Counterfeiting Christ) took a break from taking little girls to gay pride parades to take advantage of the NYPD murders to further his hypocritical cause. This race-baiting pro-abortion extremist, whose “Christian” Left makes it possible for blacks to be literally destroyed at a rate three times that of whites, thinks we need his suggestions on how to reduce violence. This and this show the violence against the least of these made possible by the moral freaks of the “Christian” Left. As I noted in The sad but predictable carnage of the race-baiting “Christian” Left, Currie blamed Sarah Palin (right of the Left’s talking points!) for the Gabby Giffords shootings. Did he apologize when she got death threats? Did he apologize when it came out that the shooter was just another freaky Leftist? Those are rhetorical. 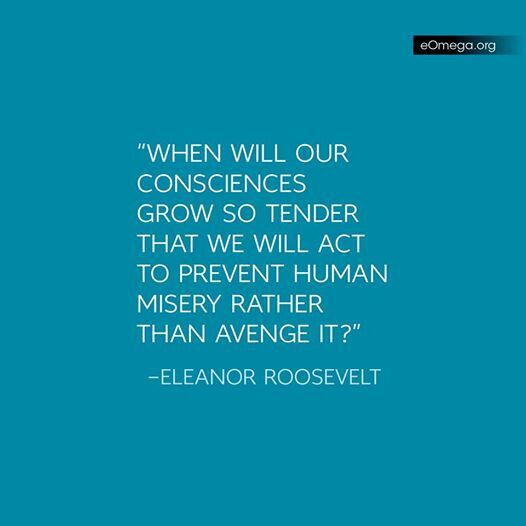 Via Our Obligation Is To Build A Better America. Right now we need to be about the building of a stronger America where the structural injustices of race are addressed and the hard work of reconciliation is engaged. There is too much violence. There is too much hatred. Our obligation is to build a better America. The deaths of Liu and Ramos will just be two more meaningless murders otherwise. Where were his calls against hatred when ginning up the false outrage over Michael Brown’s just killing? Why were he and the “Christian” Left silent when the protesters were calling for dead cops? Why do they dismiss the Ferguson looting and arson as legitimate just because they don’t like Wal-Mart? Here’s a timely question: Will Dems who blamed Palin for Giffords attack refuse a ‘conversation’ about NYC shootings? Haters like radical pro-abortionist and false teacher Chuck “Jesus is not the only way but He sure is a bigot” Currie of the UCC (Unitarians Counterfeiting Christ) blamed Sarah Palin for Gabby Giffords shooting before the bodies were cold. It was wrong on many levels, but typical of Leftist responses. That resulted in death threats for Palin. Did Currie and the media apologize? Of course not. And they won’t apologize for the race-baiting and riot-promoting rhetoric that lead to these police officers being killed. The “Christian” Left is made up of hateful ghouls who masquerade as generous while they “give” the money of others by force. But what should we expect from people who claim to be loving and tolerant yet celebrate the right to kill children right up to their first breath? And who deny the essentials of Christianity yet make a living off the name of Christ? Here’s a post I wrote back then. Not surprisingly, we got this update today: Judge: Ariz. shooting suspect mentally incompetent. The guy was in no way influenced by Sarah Palin or any right-wing “extremists.” He was a psycho that should have been institutionalized. He loved the anti-Christian Zeitgeist movie. But do you remember the reactions of the ghouls on the Left? The bodies weren’t even cold but they read from the “we hate and fear Sarah Palin so she must be destroyed” playbook and blamed her. They were completely unrepentant. And ever since they have ignored countless examples of hate and violence from the Left. Such consistency from the love and tolerance crowd! Waiting on retraction from false teacher on Giffords shooting . . .
Yeah, I know I’ll be waiting a long time, but technically it could happen. Will false teacher Chuck “Jesus is not the only way” Currie retract his attacks on Sarah Palin in light of the facts that the shooter was most decidedly not a TEA partier? See U.S. Rep. Gabrielle Giffords Shot In Arizona; Supporter Of Health Care Reform (UPDATED) for the original ghoulish political opportunism, where the bodies weren’t even cold before the “reverend” used the deaths as a hit piece on Palin. It turns out that the shooter was a liberal who doesn’t believe Jesus is the only way to salvation. Hey, he’s got the same worldview as Chuck! P.S. Will Chuck point out how the Daily Kos had a “target” piece on Giffords as well? Of course not, as that wouldn’t fit in with his “we all need to be nicer — but mainly the Republicans” theme. The shooter was a liberal whose fixation on Giffords appears to pre-date Palin’s arrival on the national scene. Chuck must be so disappointed. Try not to enjoy this too much . . .
Read the whole delicious thing: Why atheists can’t get dates. Schadenfreude warning: This makes some excellent points. By numbers alone, American atheists really aren’t that big of a group. According to a 2012 Pew report, atheists make up only about 2.4 percent of the population. . . . So your social life might be limited. It gets worse. Richard Dawkins, one of the keynote speakers, encouraged attendees to “ridicule” people’s faith. Not all atheists take this tone toward faith, but it’s a somewhat common posture, especially among some of atheism’s most vocal advocates, including Dawkins and people like PZ Myers and Bill Maher. Think about it: They are encouraged to centre out your friends, neighbours, relatives, customers, clients, and guests for ridicule. Soon you might not have a social life at all. Date? If you need a person in your life who alienates almost anyone who has ever cared about you, seek help. Honestly. All kidding aside, pray for these rebels. Being miserable in this life and for eternity is something we shouldn’t wish on anyone. There is hope, joy, freedom and salvation if they will but turn to Jesus.